The name of this site implies different things to each person, but you should know.. NO, I was not raised in the country, and YES, I live in the city. When I’m trying to grow strawberries on my fire escape (and they get infested with spiders) or planting herbs in tin cans, do I imaging I live in the country, YES! 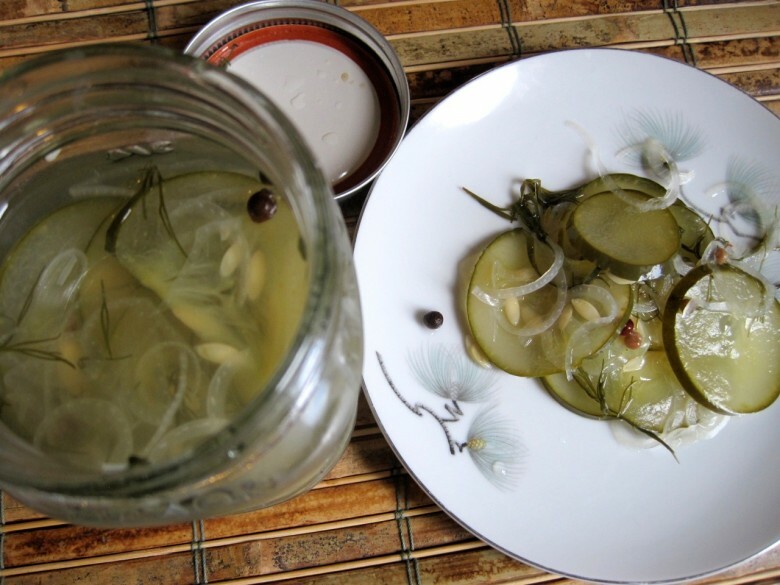 So what’s my new Country Kitchen in the city addiction: PICKLES!! It could be the inexpressible joy of my newest kitchen gadget- a mandolin slicer- how EASY it is, or simply how yummy they taste, but whatever the reason, I’m hooked. Today I’ll share my first pickle experiment.. which turned out awesome. 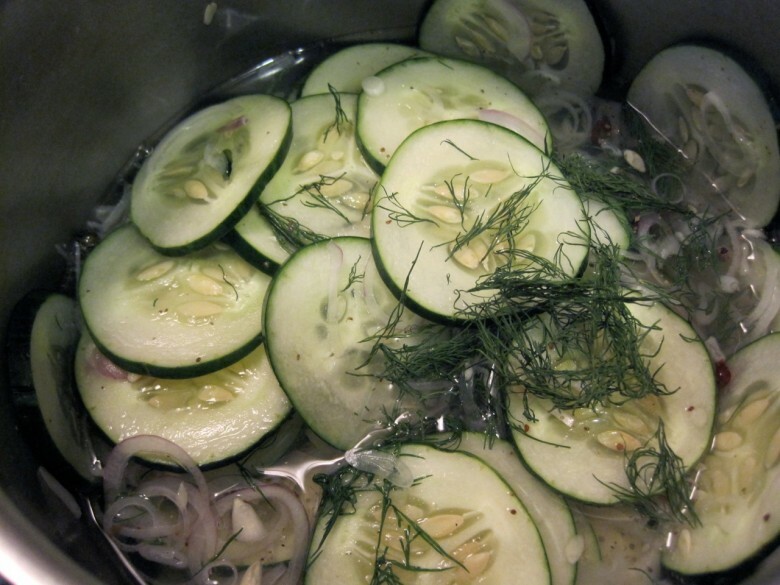 A little sweet a little tart and a little crunchy, these pickles were made with a standard organic slicer cucumber that was on its last leg, shallots, dill, peppercorns, sugar and white vinegar. So, what’s up next? 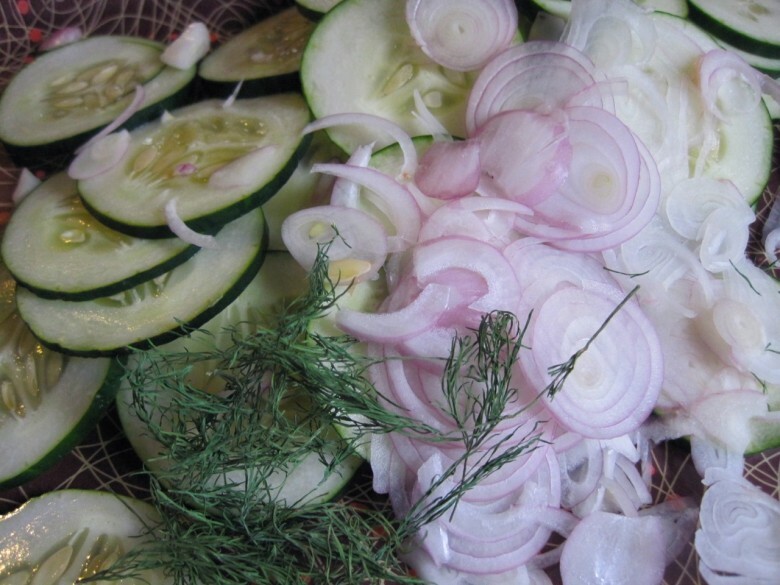 I’m thinking dill spears and jalapeno ginger pickled carrot sticks! Mmmmm. You can be sure I’ll share the process as I go. 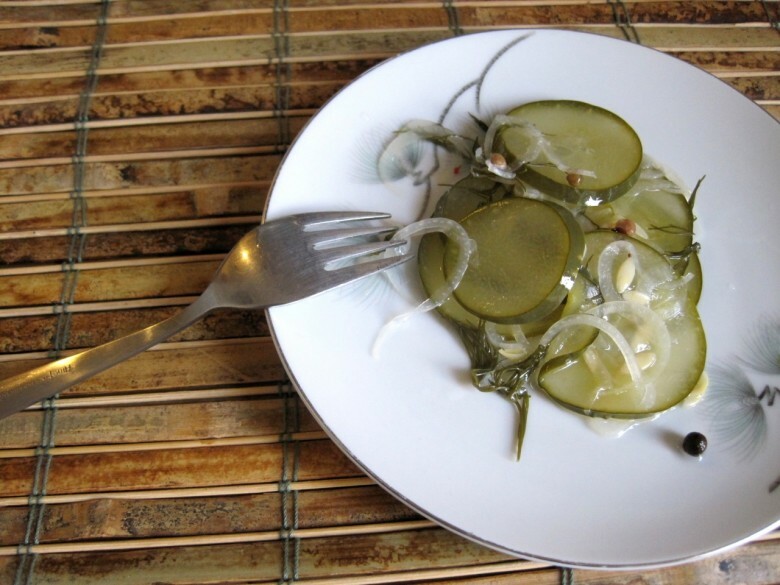 April 28, 2011 | Filed under gluten free, MIY (make it yourself), snack and tagged with cucumber, diy, make it yourself, pickles, snack.